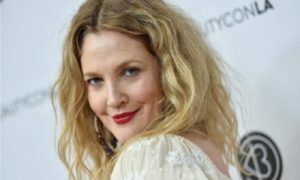 Probashbangla24 online Desk : EgyptAir’s in-flight magazine has apologised over an interview with actress Drew Barrymore that was slated on social media after being published. The article went viral after being posted online, with many questioning whether the interview was real. Barrymore’s representatives said she “did not participate” in the interview, which was notable for a number of grammatical and spelling errors. The publisher now says the confusion was due to translation issues. Ahram Advertising Agency, which publishes the EgyptAir’s inflight magazine Horus, said the interview was conducted in English by its Hollywood reporter Aida Takla O’Reilly, then translated into Arabic and subsequently translated back into English. The “surreal” article was spotted last week. The quotes led many to question whether the interview was genuine. Last week, EgyptAir defended the article as a “professional magazine interview”, while the article’s author Aida Takla O’Reilly also insisted it was “genuine and far from fake”. However, Barrymore’s representatives said she did not “technically… sit down with EgyptAir for an interview” but that the quotes were drawn from a press conference. On Tuesday, Ahram Advertising Agency said Barrymore’s representatives had agreed to the interview “not knowing” that Ms O’Reilly worked for the in-flight magazine and other publications. The controversial introduction of the article was not written by Ms O’Reilly, the agency added.